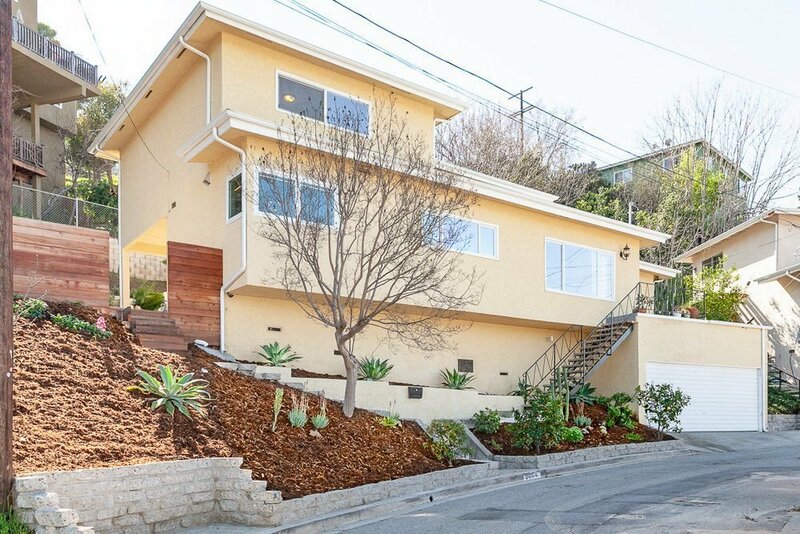 Perfectly located in a cul-de-sac in the hills of El Sereno, this 4-bedroom, 2-1/2-bath awaits to take you away from the city life into your quiet retreat. 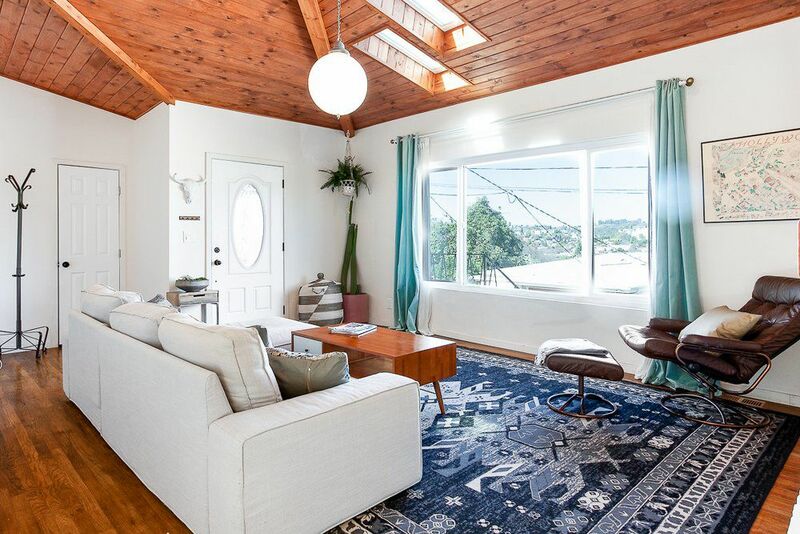 The first floor greets you with airy vaulted wood-clad ceilings, skylights, light and views from the Ascot Hills on the west to the Langham in the east. Entertaining is a dream with renovated kitchen with chevron red oak wood, custom hood, cast iron enamel farm sink, quartzite countertops, Waterworks hand fired clay full height backsplash, custom oak floating shelves w/under mount lighting, hidden under counter microwave drawer, new corner windows, soft closing doors and drawers working seamlessly with open dining room. 1 bedroom, full bath, and powder room complete the first floor. Three large bedrooms and full bathroom comprise the second floor. Laundry nook with whitewashed brick standing washer + dryer is tucked away. Drought tolerant landscaping in the front and back along with custom redwood fence and planter boxes with drip irrigation offer the perfect Southern California outdoor living. Home features original hardwood floors throughout, updated 200-amp electrical panel, and copper plumbing. Centrally located, within a 5-mile radius to South Pasadena, Cal State University, Highland Park, Alhambra, Dodger Stadium. Easy highway access. Welcome home!